This is the Astro "Blinky" Lithium Battery Balancer from Astro Flight. Very simple to use, the Astro 'Blinky' is PACKED with features to allow SAFE: balancing, charging, and discharging of each cell within your Lithium pack, also use to check voltages of each cell. 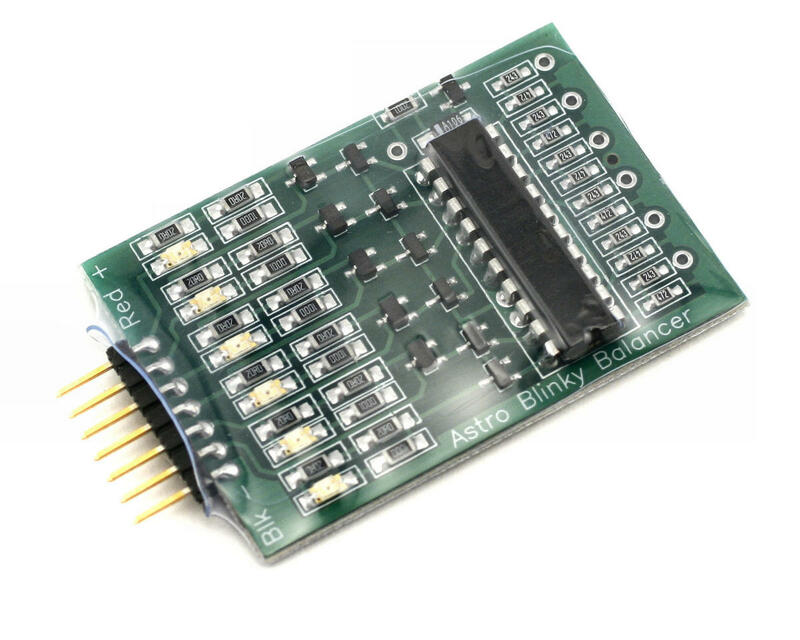 Use the Astro 'Blinky' to check for low voltages in your pack, checks each cell. Can be used to balance pack while charging (use with any dedicated Lithium Charger). Can also be used to balance the pack after charging to ensure correct voltage of EACH cell within the pack! 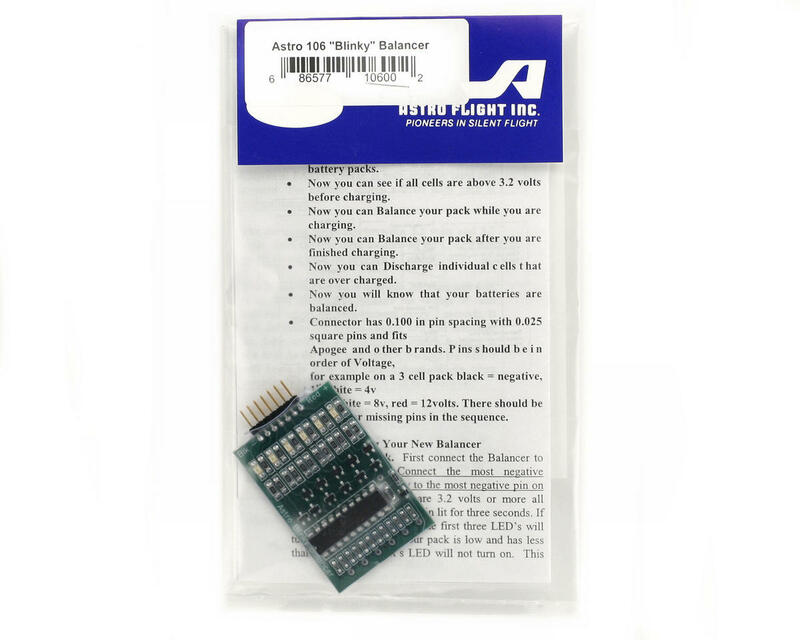 The amazing Astro "Blinky" Lithium battery balancer works with just about ALL lithium packs and has to be one of the best units for ensuring SAFE use of Lithium Battery packs available today!